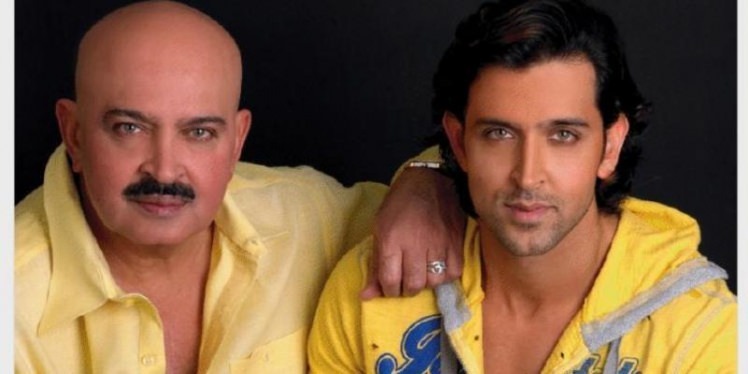 Hrithik Roshan is one of the true superstars India has produced and his dad, director Rakesh Roshan is considered to be one of the few visionaries who have always pushed the envelope to bring something new for the audiences. Not many are aware that Rakesh started his career as an actor in his young days and he was quite successful too. How about showing us his acting prowess again, that too alongside his superstar son? Writers, write some deadly script for this father-son duo! Anil Kapoor is a veteran and despite spending decades as an actor, still looks like a young newcomer with his every-bubbling energy and enthusiasm. His son, Harshvardhan, who is soon going to make his debut must have got his looks form his dad! To have these two handsome hunks sharing some screen-time together will be nothing less than sheer kickass entertainment! We request, no, we demand from them to do a movie together and give us the time of our life! These are Baap beta jodis – Hope these stars read this and work on our suggestions! Movie watching will become an altogether a different experience!